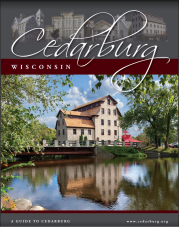 Escape to the Washington House Inn, a Cedarburg, WI hotel where casual elegance and historic tradition meet. Enjoy staying in the heart of it all! 5 Star Vacation rental 1 nt min.Plan your fall/Holiday getaways for 2018/19 at The Wandernhaus in the heart of it all on Washington Ave.Private apartment 2 bedroom sleeps up to 6 guests.